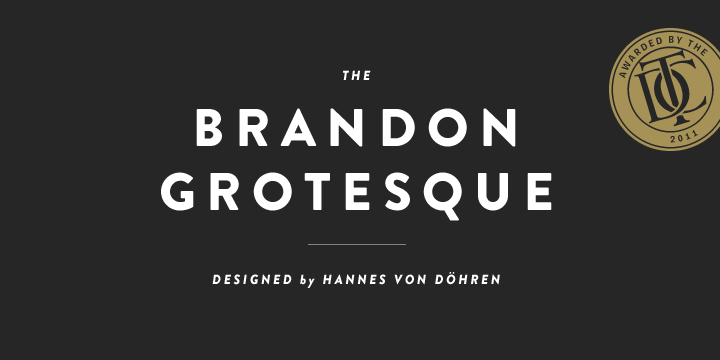 Brandon Grotesque is a typeface created by Hannes von Döhren and published by HVD Fonts. This family font is based on geometric forms but is also equipped for complex, professional typography. Did we mentioned that Brandon Grotesque won the TDC2 2011 Award? You cannot miss this font! A font description published on Thursday, January 17th, 2013 in Fonts, HVD Fonts by Alexandra that has 6,545 views.